2019 Decorating Trends are trending quickly! And as I was out and about over the weekend I couldn’t help to notice how crowded the Home Furniture stores were. Granted there are a lot of January sales going on; from bedding to holiday items. However, I think by mid-January after the decorations come down and the cold weather sets in our minds gravitate towards home decorating projects. Especially those projects we conveniently filed away only to enthusiastically tackle “after the holidays”. Well, it’s officially “after the holidays” and I don’t know about you but we’ve got some leftover 2018 projects on our to-do list. our 2019 Decorating Trends short list. 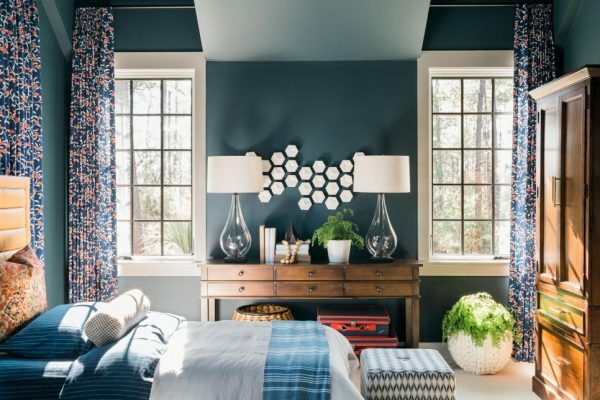 First, there are many sources and ideas floating around about “the top 2019 decorating trends”. And interestingly enough, some trends are in direct opposition to each other. While others are of the same thought but with a slightly different twist. 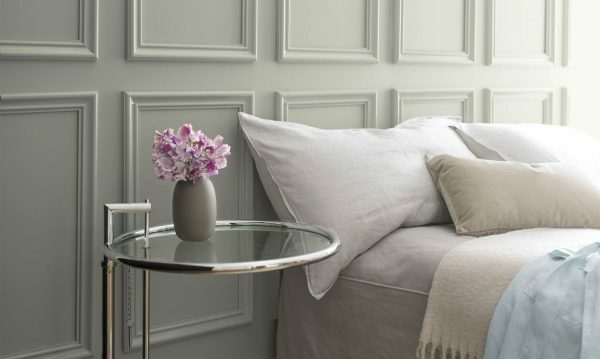 So we’ve decided on our 2019 Decorating Trends; a short list overview based on information we’ve looked at & people we’ve chatted with all mixed in with our own decorating intuition, perspective & design aesthetic. First, Architectural Details. Architectural details have always been at the forefront of good design. And homeowners still value the idea of infusing character, charm and a sense of history into their homes. 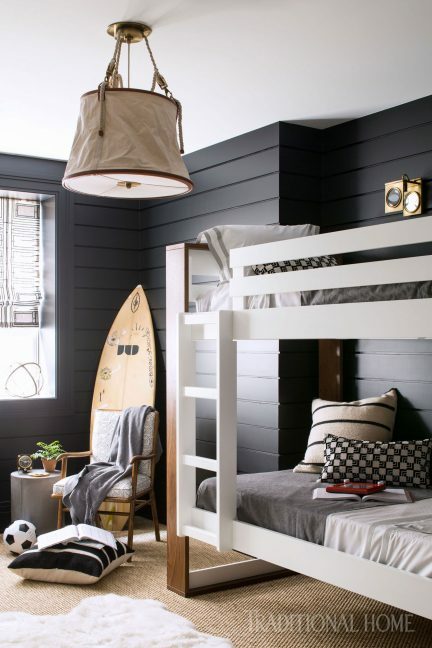 Architectural details such as; nickel gap or “shiplap”, replacing a stock door with a vintage one, adding wainscotting, a built-in bookcase for storage or updating mullion window trim to black continue to gain popularity. Second, Wall Treatments. What to do with that big blank wall in your home? Here are some wall treatment options; wallpaper, bold paint colors, wainscotting or adding a geometric pattern with paint. 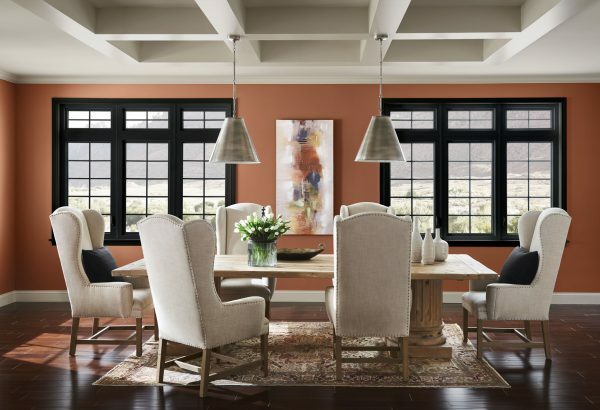 Furthermore, there are differing opinions regarding accent walls; are they in or out? I’m definitely “in” because I think with the increased interest in bold paint colors we will see more and more accent walls. Third, Textiles. Color, Pattern, Texture. A mix of patterns and colors as found in the fashion industry such as; floral & plaid will add a layer of warmth and whimsy to rooms. 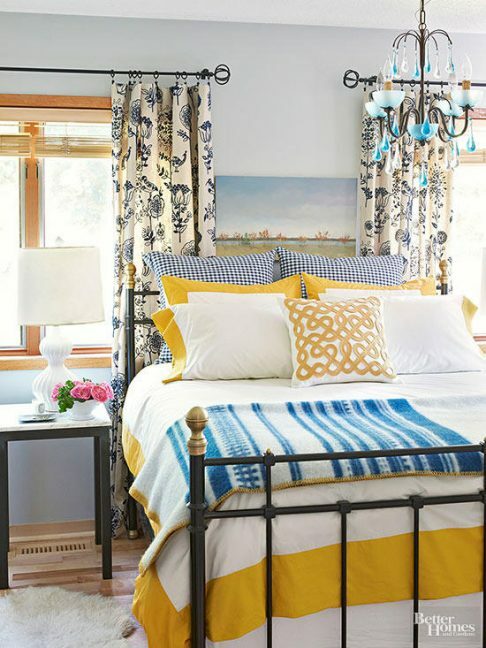 Patterns are everywhere from textiles such as; draperies, area rugs, accent pillows or bedding. Colors, most all shades of Yellow and Orange are on trend. 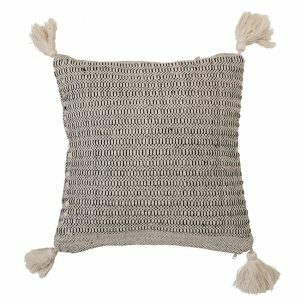 Texture, add natural materials such as sisal, jute or rattan in accessories or furnishings. All that being said, I still see pattern and color in textiles being used with restraint, working within the color flow of the home adding that much-needed touch to a neutral room. Fourth, Paint Colors. 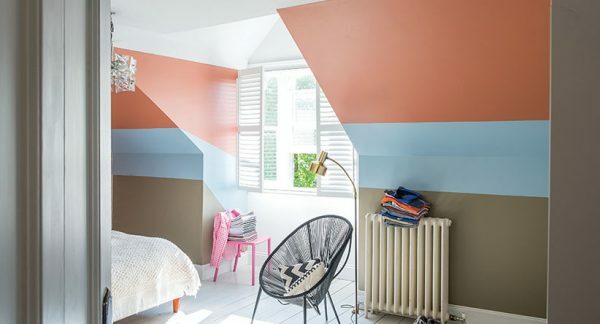 I still think white and gray paint colors will hold onto top spots for 2019; however, make room for color! Such as the warm tones of yellow & orange, jewel tones, dramatic black hues or earthy shades of brown & green that are making themselves known. For example; have you noticed an uptick of saturated shades of blue or green when it comes to Kitchen cabinetry? Fifth, Maximalist Aesthetic. Cozy up to the idea of a Maximalist Aesthetic. Although the Minimalist trend had a tight hold on us from “tiny homes” to “less is more”. Once the Farmhouse, Hygee and Boho vibe of warm comfortable interiors with a sense of history and big on personality began trending we’ve begun to embrace a Maximalist approach in Home Decorating. In conclusion, this is what makes decorating so interesting, personal and fun. It’s about you, what you like, your aesthetic and how you want your house to feel and function. But with all the different opinions floating around it can be confusing. 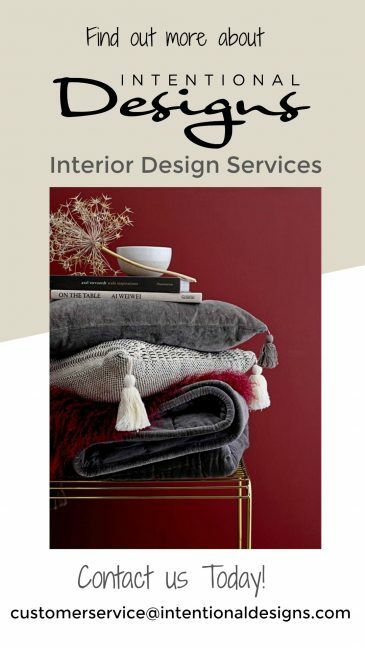 So it’s good to have knowledge of the 2019 decorating trends this way you can be a trend spotter when you are out shopping! Notice all those floral fabrics? Or Yellow furnishings? Maybe a mix of herringbone & floral patterns? Then again perhaps a functional bookcase for an entryway storage idea caught your eye! 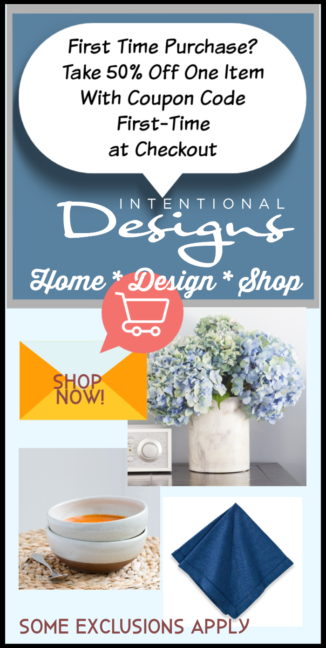 See What’s New This Week @ IntentionalDesigns.com Home Decor Shop! Like our New Quick Ship Drapery Panel Program!! !